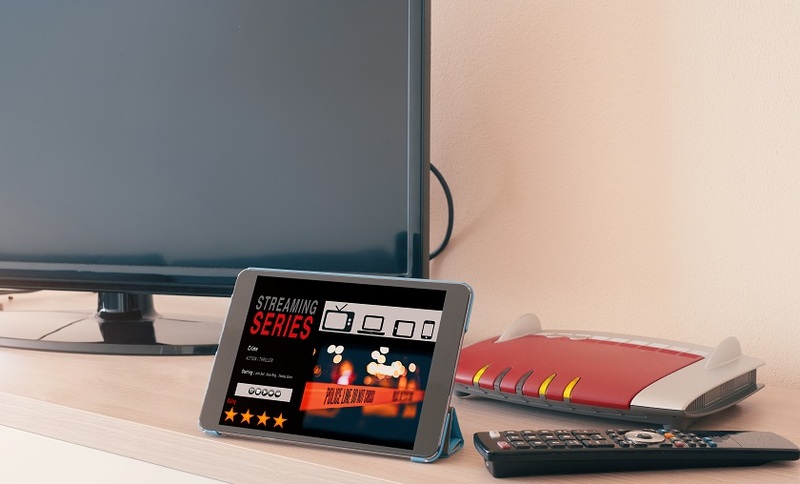 In the past two years, original programming has become the center point of the SVOD world, with many online service providers focusing their efforts on bringing exclusive content to the masses. And one of the reasons for this giant push for original programming comes from the acceleration of cord-cutting. In fact, a study from eMarketer suggests that 22.2 million American adults cut the cord on cable or satellite TV services last year alone. What’s more, this figure has risen by 33% from 16.7 million in 2016. A sure-fire reason for providers to up the ante on the original programming efforts. 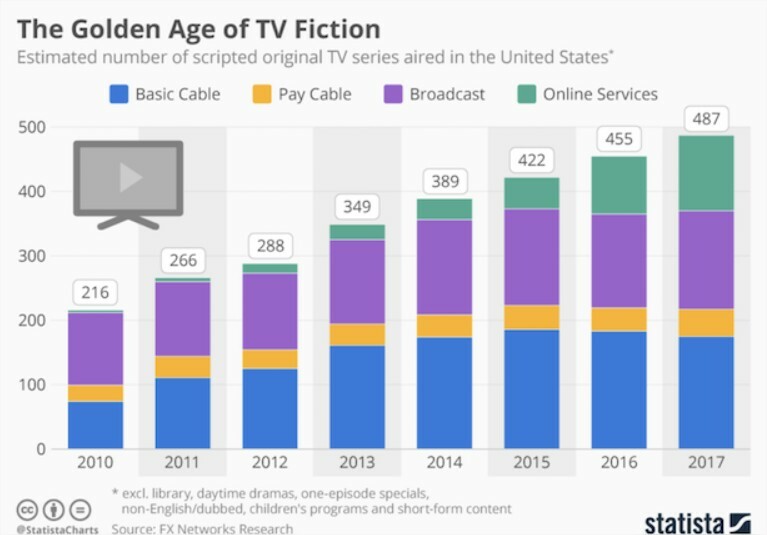 Due to this demand, the production of TV series grew monumentally in the US 2017 last year, with a whopping 487 series produced, 32 more than in 2016. Why? Well, this is largely due to to the increase in the number of series broadcast by the online (SVOD) services. Yes, SVOD emerges as a massive driver of original programming and content. And it’s not over because, given the investment forecasts announced by the big three main platforms, including Netflix, Amazon and Hulu are currently close to $ 15 billion a year – so we can expect many new series to emerge online in the coming months. Moreover, with Apple, Facebook and Youtube entering the SVOD market, the weight of the original series will strengthen even further: those in the States have not finished ‘binge and speed watching’ original content – and this trend is spreading across the globe. At present, original programming is getting more competitive every single day. Recently, Netflix announced that it has a budget in the region of $8 billion for original content in 2018 – and stocks surged by over 50% in 2017, as it saw an increasingly active user base in the US and abroad. Amazon is also expected to pull out all the stops on original content this year; Apple (AAPL) has joined the race, with a budget of $1 billion this year specifically allocated for original content. Also, big production studios like Twenty-First Century Fox (FOXA) and Walt Disney (DIS) have also spoken of releasing SVOD services sometime this year – and without a doubt, we can expect plenty of original content from these guys. This year, not only will the level of original content rise exponentially, but it will become more varied, exciting, and innovative – and it looks like we can thank digital technologies for that. What a year it’s going to be.